What is Lightning Process Builder? 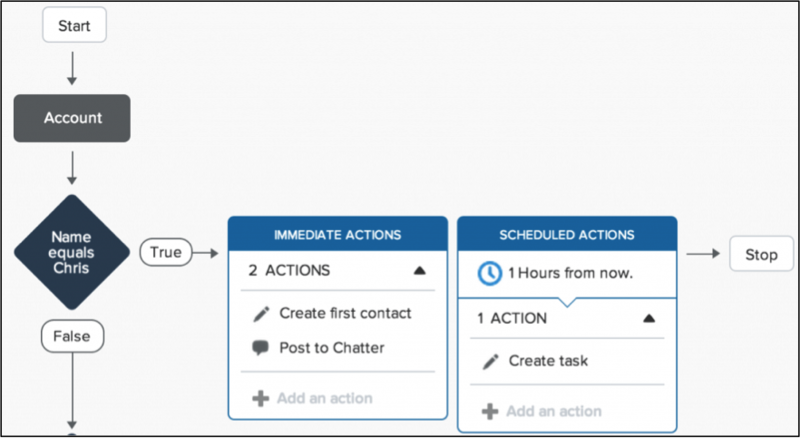 Termed as workflow 2.0 by some, Lightning Process Builder is Salesforce’s framework to build complex workflows and achieve complete process automation, with the help of a few clicks! Capable of covering multiple scenarios in one process as against several workflows required previously, Lightning Process Builder can create, update and submit records, all without involving any code! Amidst the list of amazing capabilities that Lightning Process Builder comes with, I have listed below the most significant ones. You can now build processes for creating new records even for objects which do not have a direct relationship and can define related actions: both immediate and scheduled. Imagine if you could auto-submit a record for approval without even clicking a button! With the help of Lightning Process Builder, you can do exactly that! See for yourself. Update multiple related records at one go! What previously required many lines of Apex code, can now be done in minutes through clicks! With Lightning Process Builder, you can now update multiple records, all at once. If that wasn’t enough, take a look at what else can you do with clicks instead of writing those hundreds of lines of Apex code. Outbound messages and many more! Just imagine the time you save you previously took to build, test, deploy and maintain the code that you wrote to achieve all this! Contrary to some opinions and reports, Lightning Process Builder does not replace either Salesforce Flows or traditional workflow rules, nor is it a unified version of both of them. What it indeed does is to bring them both closer to each other, providing a single, seamless and unified UI for building workflow rules which run flows in the background. The answer is, not quite! While Lightning Process Builder justifies its name and indeed is a level up from creating traditional workflows and executing actions without needing code, it comes with its own set of limitations. The error handling remains quite basic and incomprehensible for business users. Additionally, if you are looking to edit live processes, the framework isn’t quite good yet. You first need to deactivate the process, save it as a new process, make your changes and activate it as a second process, quite a tedious job! That said, Lightning Process Builder remains a hallmark feather in Salesforce’s cap, for the way it changes the dynamics of process automation and the flexibility and ease of use it brings to the users. 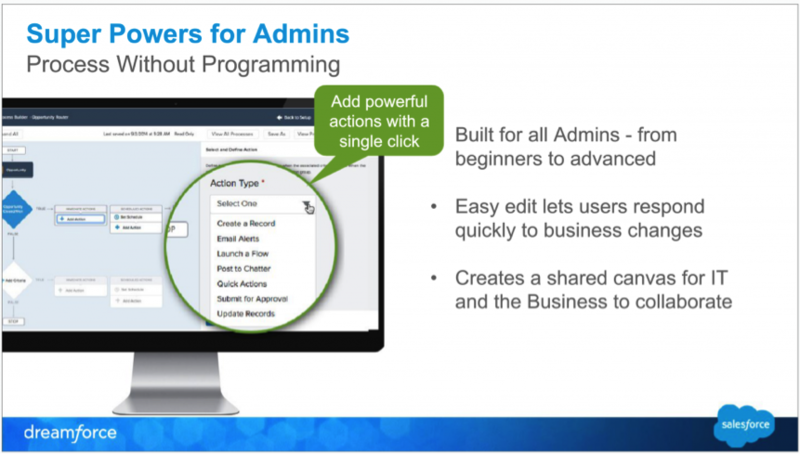 Note: Salesforce Lightning Process Builder will be rolled out in spring’15. Currently, you need to raise a case with Salesforce to activate it. With its graphical and easy-to-use UI, Lightning Process Builder is designed to automate processes that help organizations function faster than ever. Whether it is sending daily reminder mails, follow-ups or creating a record, it helps organizations visually automate the whole lifecycle of tracking, maintaining and optimizing their processes.